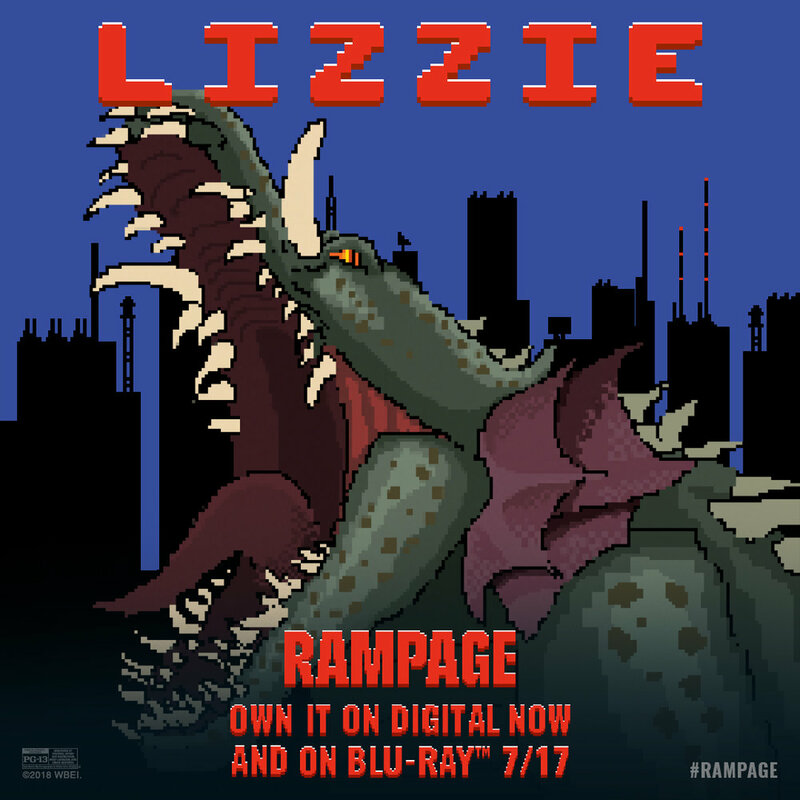 The social campaign for Rampage was filled to the brim with action, adventure … and just a dash of good old nostalgia. Specifically, I created 8-bit illustrated character cards of the main monsters. 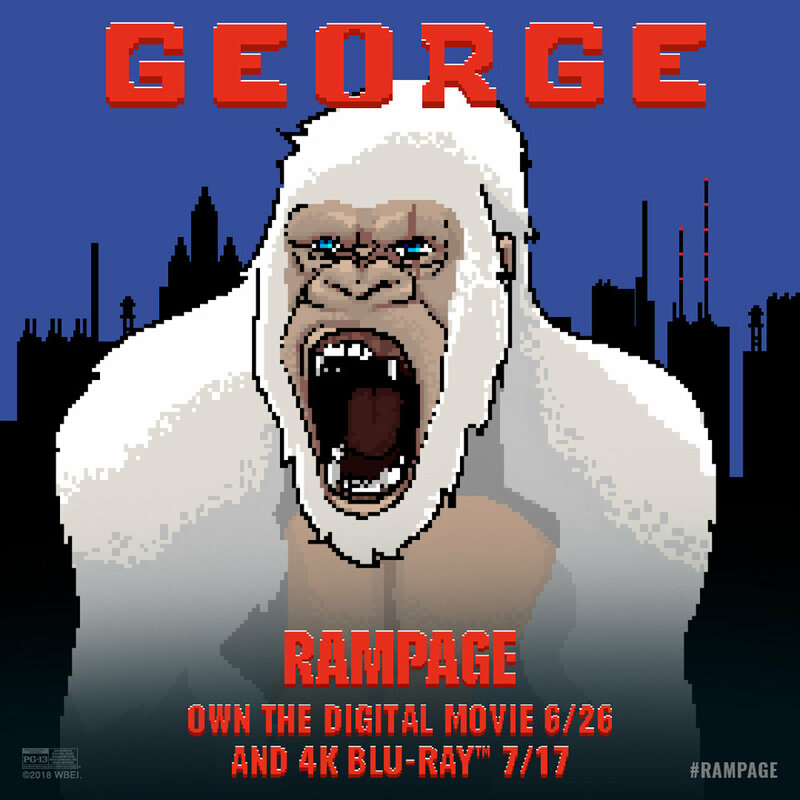 The client really wanted an updated style to fit the movie, but they didn’t want to sacrifice the feel of the 80’s video game. The final touch to these cards was custom type to fit the scene. All hand painted. The drawing of Davis was never actually used, but I’m choosing to show it off here as unofficial fan art. I had far too much fun drawing The Rock. I mean who wouldn’t have fun with that? !